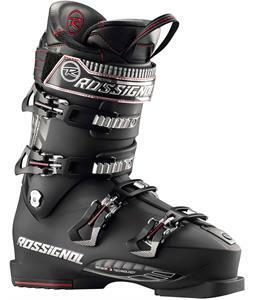 2014 Ski Boots have arrived and are stocked to the roof only at The House! These incredible ski boots not only radiate impeccable style;you'll never turn to another pair of ski boots once you discover the incredible key features. Your 2014 Ski Boots may include awesome techs like precise contouring, new sensors for all-mountain skiers, and newer and stronger heel cups. 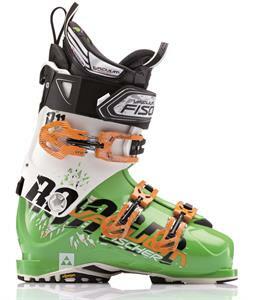 Order your new 2014 Ski Boots today and we'll ship extra goodies with your package! With the Olympics, X Games, and millions of fans glued to their tubes to watch sports like snowboarding and skiing, it's going to be hard to find good gear on the barren shelves. That's why anyone in the market for some quality 2014 ski boots should act now, before the good stuff is out of stock indefinitely. 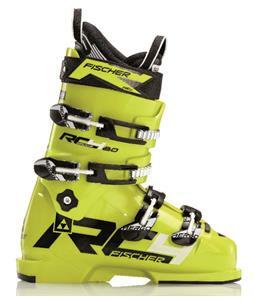 Ski boots, like all other equipment, continue to improve with each new release. In the 2014 models, you'll see some serious upgrades from years previous. One thing to be on the lookout for with new model 2014 boots is the Flex Index rating. What's typically ideal for skiers is a boot that's rigid enough to hold its shape and offer support, yet flexible enough to allow for optimum maneuverability. Quite a few '14 models have high flex ratings, so you're sure to find a strong, flexible, comfortable boot. 2014 models also have improved buckles, better lining, strong construction, and much more. And you can find high-end boots from top-shelf providers of winter sporting gear like Atomic, Salomon, Roces, Tecnica, and many more.